Name of a dish is often derived from the way it is cooked and it is not peculiar to Bengali cuisine only. For instance Bharta basically means you smash and mix the ingredients, like baigan ka bharta (char-grilled eggplants smashed and cooked with spices.) . 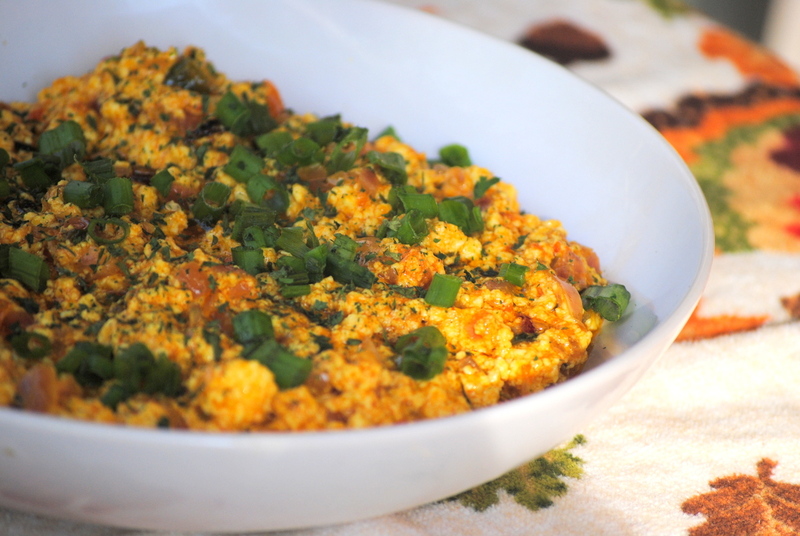 Then there is Bhurji or bhujia which translated means scrambled. 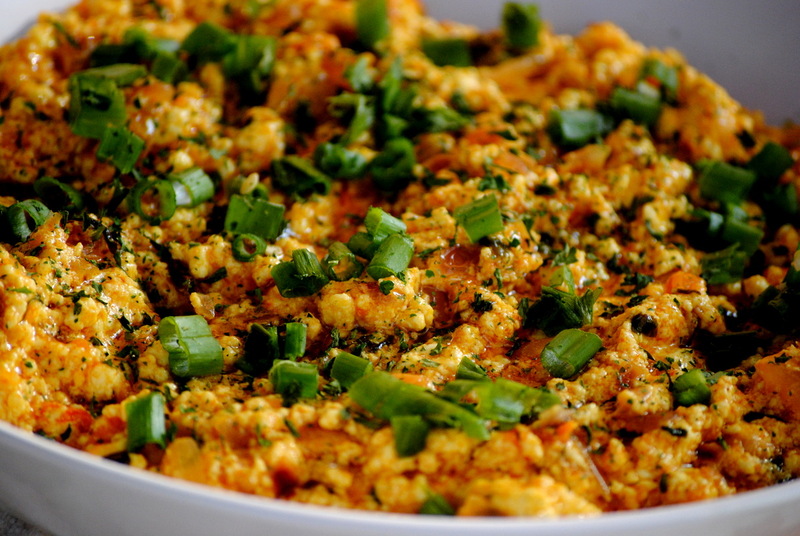 Anda Bhujia or scrambled eggs with masala is a very popular breakfast dish from Punjab . The vegetarians have found a fitting replacement with Paneer Bhujia. Growing up in Delhi with a a North-Indian cook house-keeper these two were stable Lunch box items and not just with rotis, they replaced the boring cucumber tomatoes with a tasty and lip smacking sandwiches. Bhujia works great for travel food. India cannot boast about service centers on Highways or MacDonalds every 2 exits and thankfully so, so people especially when travelling with children prefer carrying home cooked food so these dry items with roti or parathas are not just tummy fillers but healthy option to the usual fast food junk. 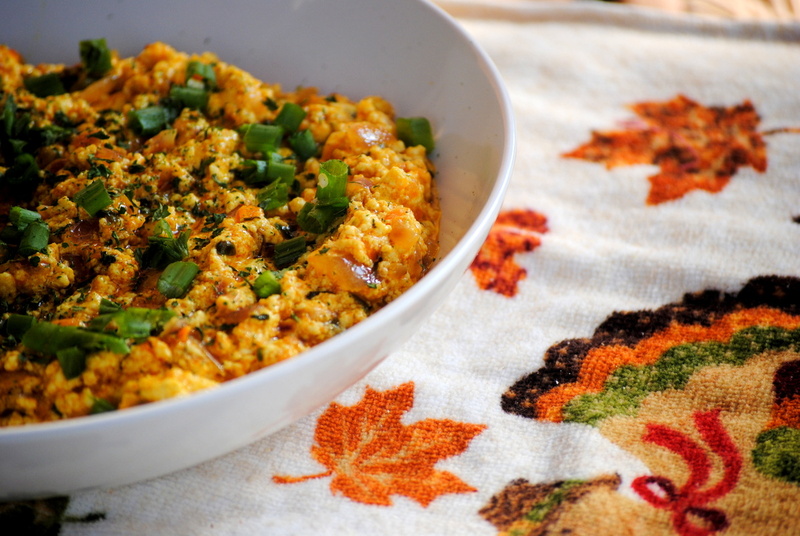 As a child I used to love paneer bhurji and when I came across Aman Kahlon’s paneer bhurji; I fell in love with the recipe. But it had been a while since I had read about it and was frantically searching for it, when I finally came across Preetanjali Paul Basu’s blog where she had pains takenly documented the whole recipe and thanks to her I could recreate the magic of paneer Bhurji. Melt the butter in a wok/kadhai along with the oil but make sure that the butter does not burn, as soon as it starts to melt add the onions, saute for about 4-5 mins on medium high.Next add that red chilli powder and pinch of turmeric. Now add the green chillies and the coriander leaves. Cook for a couple of minutes and then add the grated fresh tomatoes to the pan. Season with salt. Cook on medium heat for about 10 mins when the raw smell of the tomatoes are gone and the oil begins to rise.